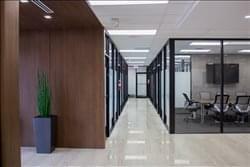 Find My Workspace lists over 95% of the executive office suites market in Hallandale Beach. Simply click Request Quote to check pricing for one office, or Add to Basket for multiple offices. Membership packages include the use of the business address, a grand reception area for greeting your clients, receptionist, free WIFI, VOIP Phone systems, mail handling, use of your lockable office & all common areas. The three conference rooms can be booked for meetings – equipped with 4k Smart TVs and with a minimum of 8 seats per conference room. Need a private space? It can be readily equipped with everything you need in order to do your work, just bring your laptop! All private office memberships include newly renovated, furnished Class A lockable offices, member discounts on all meeting room reservations, mail services, common area access, 24/7 access to our facility and free Wifi. Being confined to a desk or office may not be for you. The Virtual Membership allows you to be on the go and still have a place to wow your clients. Each Package includes use of our business address, mail handling and membership discounts for all of our fully equipped meeting rooms.